If you're struggling to master the guitar, a new wearable startup may have developed a method to help you along the way. Vibes is a UK-based joint set to offer users the chance to take advantage of ear training technology that's powered through a wearable forearm strap. But how does this actually work? Well, it's all about changing the way you approach the learning. When first picking up the guitar, trying to get your fingers in the right positions on the fretboard requires repetition. However, as you make progress, being able to understand musical intervals, chords, and scales by ear is the next step to crack. That's where Vibes hopes to help. After diving into the neuroscience behind music instruction, Vibes founder Philip Spivey decided to create a device that focused on association, instead of just repetition. To begin the process of ear training, an accompanying mobile app produces audible notes. Then, through a Bluetooth connection, the app triggers the wearable device to encourage a specific tactile stimulus on your inner arm. 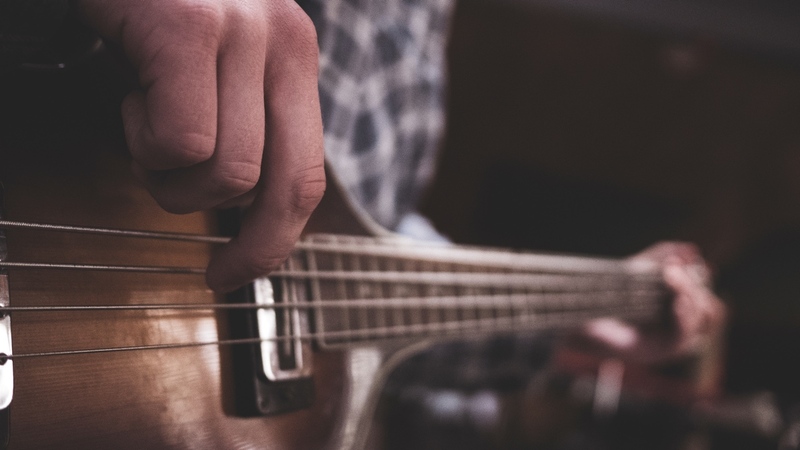 "This association, with a small degree of repetition, will help your brain in the future to recognise the same intervals or chords when you hear them in your favourite song, or in your head when you are improvising," Spivey said. Vibes is still currently under development, so whether this can actually help you make the leap is unknown. And although there's no firm launch date yet, the product will seemingly launch directly through its website for between $90 and $140, not via a crowdfunding campaign.